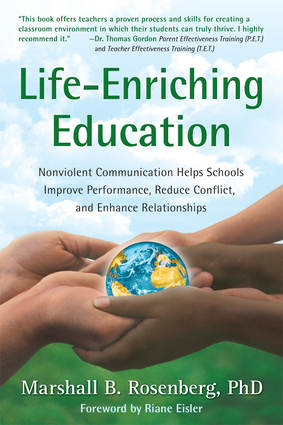 Marshall B. Rosenberg, Ph.D. is the internationally acclaimed author of Nonviolent Communication: A Language of Life, and Speak Peace in a World of Conflict. He is the founder and educational director of the Center for Nonviolent Communication (CNVC). He travels throughout the world promoting peace by teaching these remarkably effective communication and conflict resolution skills. He is based in Wasserfallenhof, Switzerland.